The open enrollment period on HR.gov will run from November 1, 2018, to December 15, 2018, only 45 days, the same as the previous year’s open enrollment period. The major change for this year’s enrollment period is the knowledge that the tax penalty levied by the IRS for the Affordable Care Act’s Individual Mandate goes away on January 1, 2019. With Congress reducing the IRS penalty in the ACA’s Individual Mandate to $0 in 2019, individuals who do not purchase health insurance with Minimal Essential Coverage, as mandated by the ACA, can no longer be penalized under the ACA in the 2019 tax year. This frees individuals to instead choose to enroll in alternative healthcare solutions, such as short-term plans, hospital plans, and health plans with slimmer benefits packages that do not provide Minimum Essential Coverage or to not purchase insurance at all. As a result of the penalty being eliminated, 2019 enrollment is expected to see fewer healthier individuals sign up on exchanges. Premiums in 2019 are expected to rise, meaning more expensive health coverage. However, those premium increases may not be as bad as anticipated. An analysis of preliminary filings by insurers in 50 states undertaken by the website ACASignups.net determined that 2019 health insurance premiums for policies sold on government health exchanges could increase less than 4%. An analysis by the Associated Press and the consulting firm Avalere Health found a 3.6 % average increase in proposed or approved premiums across 47 states and Washington, D.C., for next year. The Kaiser Family Foundation (KFF) states in a recent report that since 2008, the average cost of premiums have increased by 55%, twice as fast as workers’ earnings (26%) and three times as fast as inflation (17%). KFF says that insurance premiums for individuals in 2018 rose 3%, averaging $6,896, compared to 2017. Individuals also may find that they have more choice on healthcare exchanges for 2019. Both large and small health insurers are planning to expand their ACA individual plan offerings for the 2019 health plan year as the health insurance market shows signs of stabilization. Depending on where individuals live, the length of open enrollment may be longer than 45 days on certain state exchanges. Click here to learn about the open enrollment schedule for your state. Employers should also plan to pay more for health insurance plan premiums being offered to employees. According to the National Business Group on Health, its Large Employers’ 2019 Health Care Strategy and Plan Design Survey found that employers are projecting the total cost of providing medical and pharmacy benefits to rise 5% for the sixth consecutive year in 2019. The survey said employers identified high cost claims, specialty pharmacy, and specific diseases as key drivers of cost increases. According to the Kaiser Family Foundation, annual family premiums for employer health insurance rose 5% to $19,616 in 2018 compared to 2017. This marked the seventh straight year of premium increases. KFF says that roughly 57% or 152 million Americans receive healthcare coverage through their employer. Under the ACA’s Employer Mandate, organizations with 50 or more full-time employees and full-time equivalent employees, are required to offer Minimum Essential Coverage (MEC) to at least 95% of their full-time workforce (and their dependents) whereby such coverage meets Minimum Value (MV) and is affordable for the employee or be subject to IRS 4980H penalties. 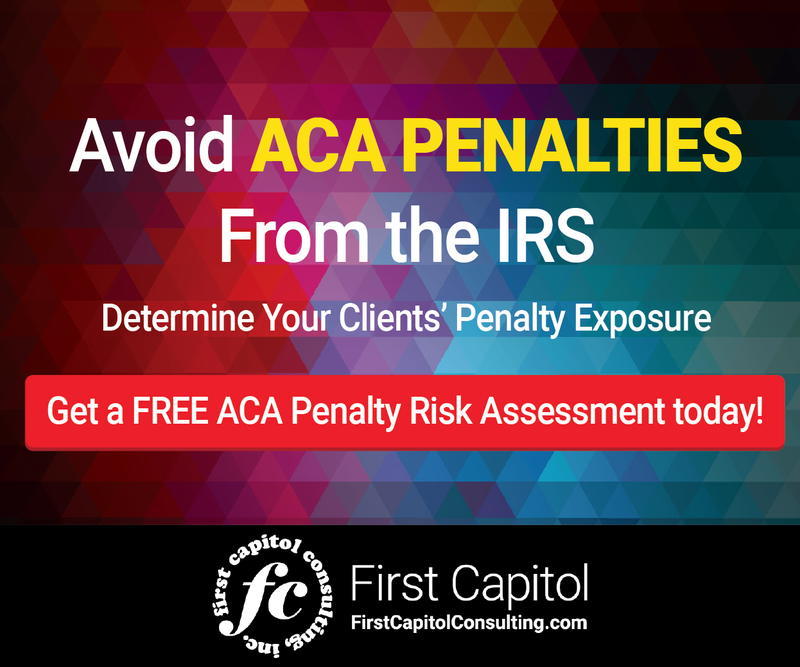 Employers should be aware if an employee elects to go to the exchange and receives a Premium Tax Credit (PTC), your organization could be faced with significant IRS penalties presented in the agency’s Letter 226J penalty notice. 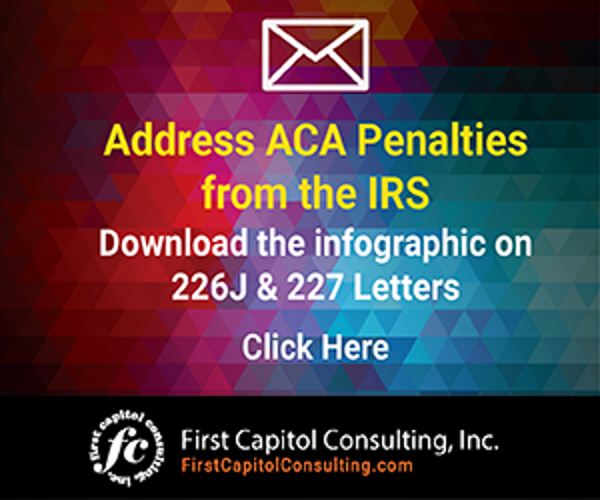 To learn about how to respond to the Letter 226J for the 2016 tax year, click here. ACA open enrollment through HR.gov starts November 1.